3. Ready-to-Go Scripture Skits . 6. Ready-to-Go Scripture Skits . 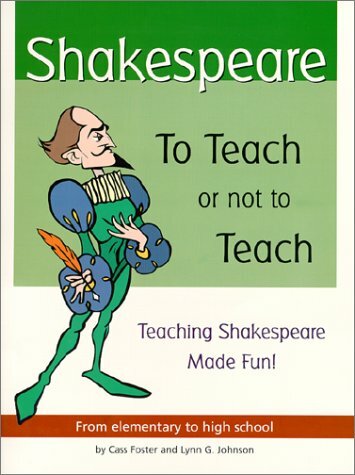 Shakespeare To Teach Or Not To Teach: A Teacher's Manual, can be used with elementary to high school students, and is suitable for use in classroom, drama club and homeschool settings. Teachers and parents need not be anxious over teaching Shakespeare anymore. Shakespeare To Teach Or Not To Teach, can be used in conjunction with any Shakespeare play, but works very well with Shakespeare For Children: The Story of Romeo and Juliet or one of the six productions in the Sixty-Minute Shakespeare series. Beginning with basic information of Shakespeare, the time period (both his plays and when they were performed), what took place on and backstage in The Globe theater, To Teach Or Not To Teach puts the teacher at ease with the material and builds confidence to present Shakespeare to his or her students. To Teach Or Not To Teach provides excellent instructional ideas to make the plots and characters come alive for the students. 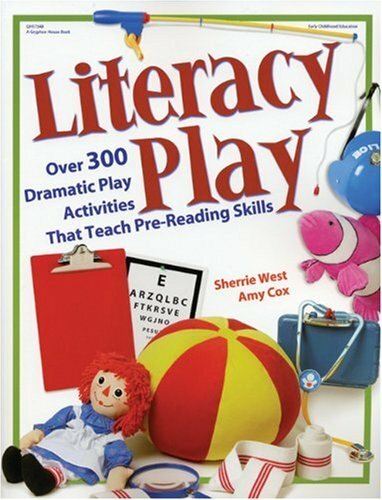 From just reading through play, or acting it out to activities reaching past the typical Language Arts or English class assignments and crossing the core curriculum subjects. Do you work with children to whom you'd love to introduce Shakespeare's work but are uncertain how to go about it? Shakespeare: To Teach or Not to Teach may be the answer to your dreams. According to Foster and Johnson, "These methodologies work with teachers that have had absolutely no experience with Shakespeare. Nearly every teacher we have observed began with a great deal of anxiety and doubt. In most cases both those elements were eliminated after the first session..." The authors provide simple and straightforward guidance for introducing Shakespeare to children as young as second grade all the way through high school. This book is meant to supplement Cass's other quality books, Shakespeare for Children and The Sixty-Minutes Shakespeare series, though they can be applied to any classroom introduction to Shakespeare. Foster and Johnson clearly have put great thought and care into providing educators with all the tools they need to introduce children to the Bard. Furthermore, the authors provide the information in brief snippets highlighting the most important elements in a way that won't feel overwhelming. Background on the Middle Ages, the English Renaissance, Elizabethian England and theatre, and a biography of William Shakespeare are supplied in 1-2 page, bite-sized pieces. In the core of Shakespeare: To Teach or Not to Teach, the authors provide lesson plans for six days reading the play, including discussion questions, that include plenty of options for finding the best fit for your group. In addition, there are wonderful theatrical warm-up activities and a great variety of Shakespeare-themed activities that draw from all the strands of the curriculum, such as writing, music, art, social studies, and science. For example, there is a writing exercise in which the students pretend they are a newspaper reporter on assignment to interview a person from Shakespeare's time, such as a character from the play, a stagehand at the Old Globe in 1603, or Shakespeare himself. Or for science/health, the authors suggest that teachers can use a discussion of the death scene in "Romeo and Juliet" to segue into a lesson on CPR. When you're feeling ready to get your production up and running, Shakespeare: To Teach or Not to Teach provides succinct suggestions about casting, rehearsing, scenery, costumes, and even how to promote your production in the local press. Foster and Johnson understand what an endeavor it can be for a teacher to begin a new area of study and especially to commit the time and energy to mounting a production. They counsel, "You are a pioneer and unfortunately all too many of us in education are much too comfortable staying with the same lesson plans, lectures, exams and expectations. Preparing for this unit will take a fair amount of time and commitment but your willingness to explore this realm will reap far-reaching and far-lasting rewards." When you're contemplating whether to teach or not to teach Shakespeare, feel free to go ahead and teach! This book will guide the way. Quill says: Shakespeare: To Teach or Not to Teach provides the basic tools for anybody (even you!) to introduce children to Shakespeare's great works. ..."the Five Star Shakespeare Collection an incredible resource"
I found this book rather simplistic. I bought it to teach Drama and I think it is probably more appropriate to English. It gave me one or two ideas but the rest of the activities were ones I use already or ones that weren't really appropriate. 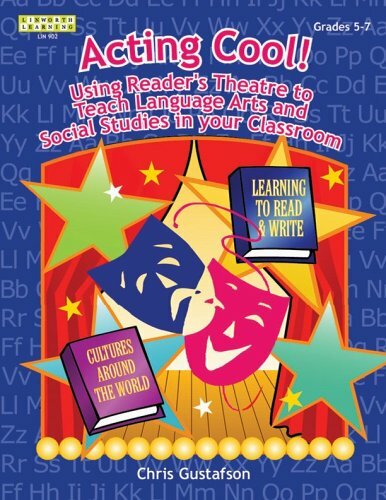 I would recommend this book to a beginning teacher of Drama or English. 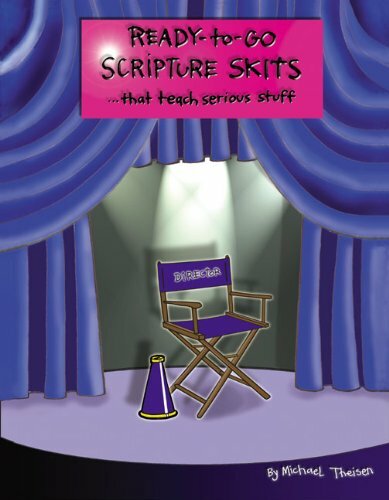 "The book is an amazing introduction to the Bard, his works andenvironment...a way to overcome literacy and dramatic stage fright that canopen many doors..."
Ready-to-Go Scripture Skits engages young people in an active form of learning that is hard to beat. It achieves MLP (maximum learning potential) through FLP (full laugh potential). And the skits are so off-the-wall that involving everybody in a group is easy. Each of ten sessions uses an intentional three-act process to help young people explore the Scriptures and apply them to their lives today: grabbing young people's attention through an outrageous and spontaneous Scripture skit, leading them to deeper insight through the historical context and meaning of the story's key elements, and helping them apply the story's meaning to their lives. 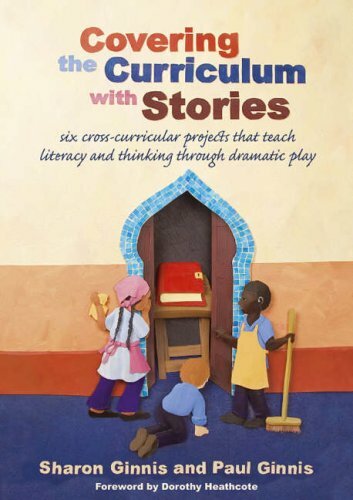 Covering the Curriculum with Stories includes six cross-curricular projects (with two more available on a supplementary CD) that will deliver outstanding individual learning experiences. They provide a fascinating and fun framework for delivering curriculum content and key skills. More importantly they give children the opportunity to identify and develop their learning styles, multiple intelligences and thinking skills. Various dramatic tools are explained in detail and the simple clear instructions in each drama lead the teacher through the whole process with the minimum of effort. Many extension activities are suggested along the way to enhance the learning experience. This long awaited follow up to the best selling, The Teacher s Toolkit, this volume will be welcomed by teachers and student teachers alike--it is well researched, wellwritten and clearly laid out. 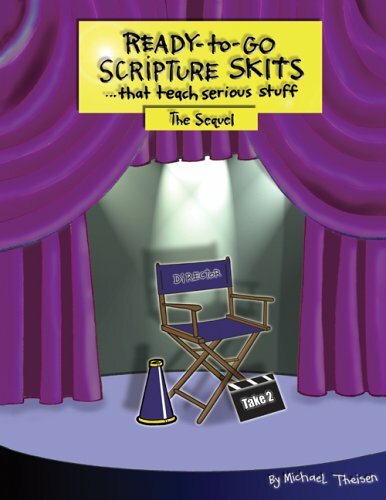 Ready-to-Go Scripture Skits engages and involves young people in an active form of learning that is hard to beat. It achieves MLP (maximum learning potential) through FLP (full laugh potential), and the skits are so off-the-wall that you will have no problem involving just about everybody in your group one way or another (actually, most will have no choice in the matter!). Act 1: Engage grabs the young people's attention by getting them to perform an outrageous and spontaneous Scripture skit. Act 2: Examine leads them to a deeper insight by explaining the historical context and meaning of the key elements in the Scripture skit. Act 3: Explore brings it all home by helping them apply the meaning of the Scripture story to their lives today.